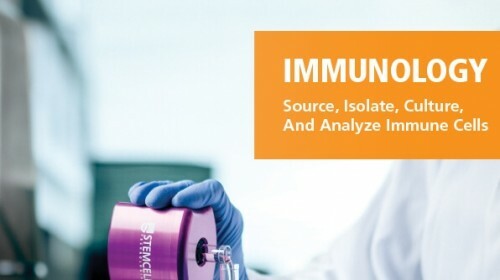 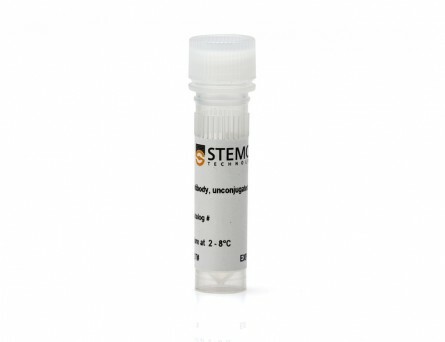 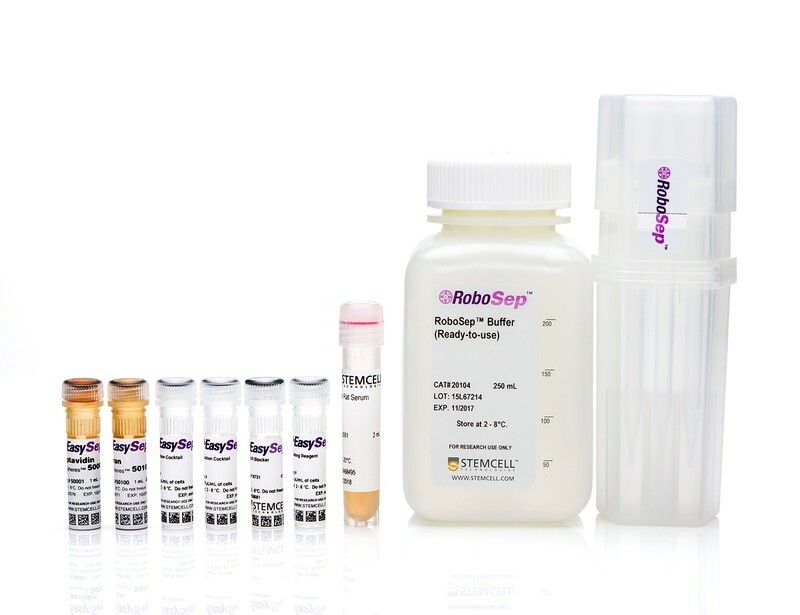 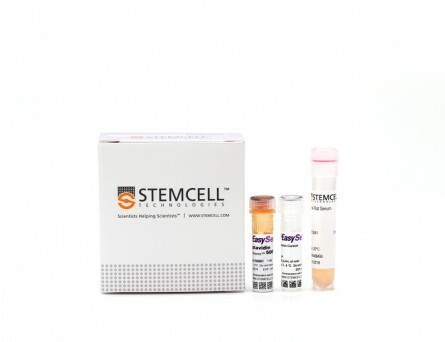 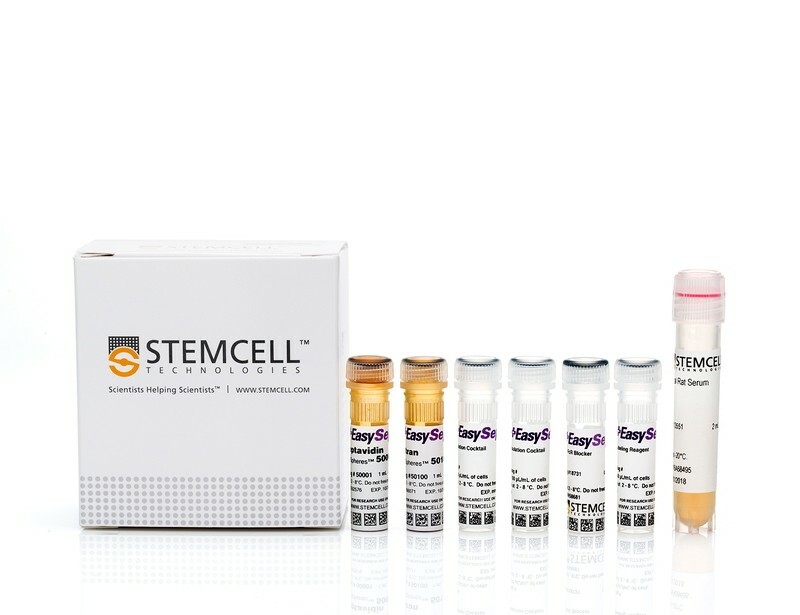 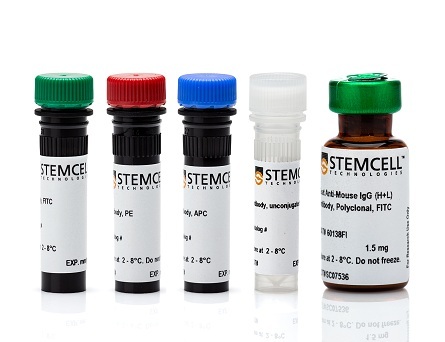 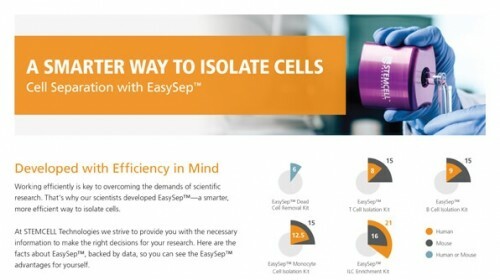 The EasySep™ Mouse CD4+CD25+ Regulatory T Cell Isolation Kit II is designed to isolate CD4+CD25+ T cells from single-cell suspensions of splenocytes or other tissues by negative followed by positive selection. 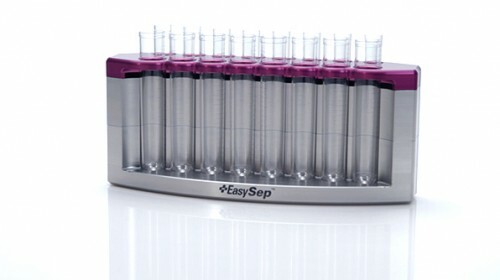 CD4+ T cells are first enriched by negative selection using the EasySep™ Mouse CD4+ T Cell Isolation Cocktail. 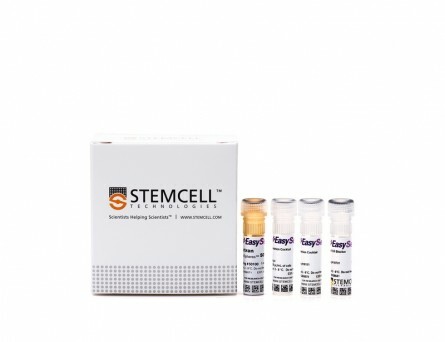 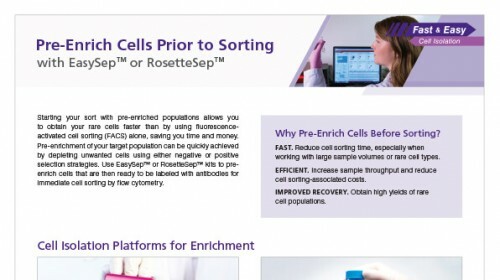 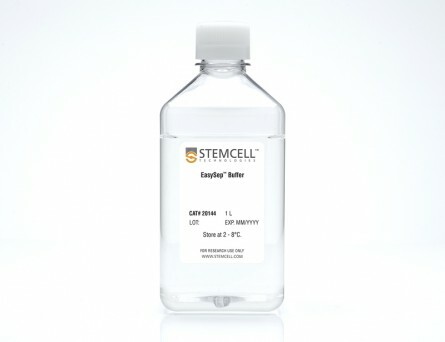 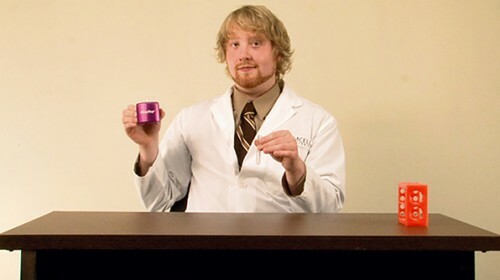 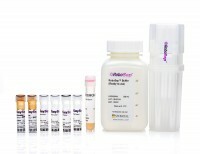 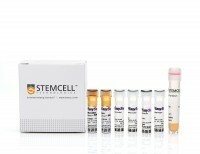 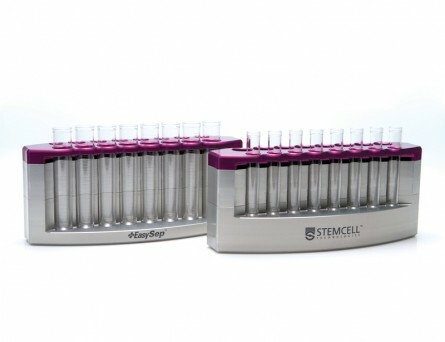 CD25+ cells are then positively selected from the pre-enriched cells using EasySep™ Mouse CD25 Regulatory T Cell Positive Selection Cocktail. 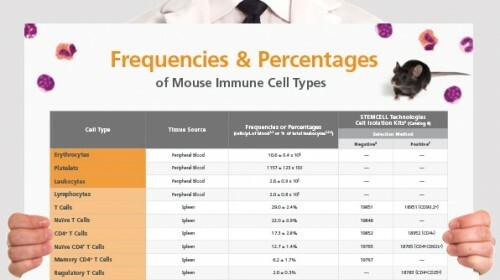 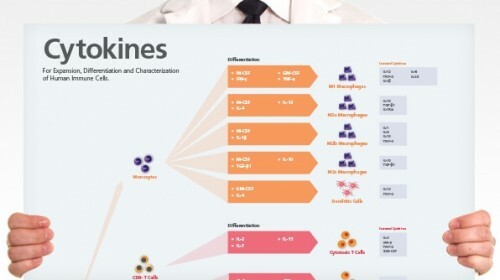 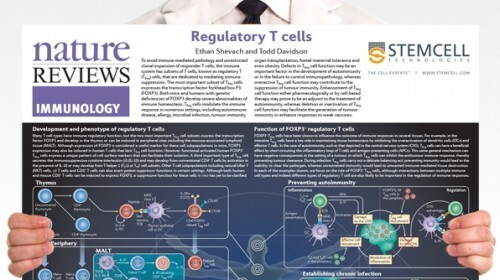 Starting with mouse splenocytes, the regulatory T cell content (CD4+CD25+FOXP3+) of the isolated fraction typically ranges from 70 - 93%. 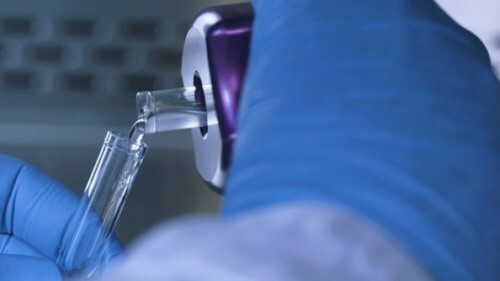 In the above example, the purities of the start and final isolated fractions are 2% and 72%, respectively.